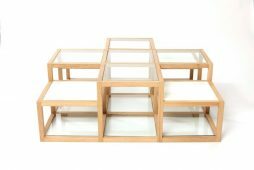 Bespoke | Page 4 | Interior Boutiques – Antiques for sale and mid century modern furniture, french furniture, antique lighting, retro furniture and danish furniture. 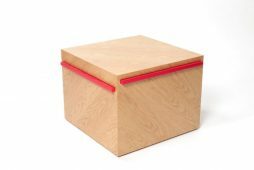 An oak cube with recessed red lacquer panels. 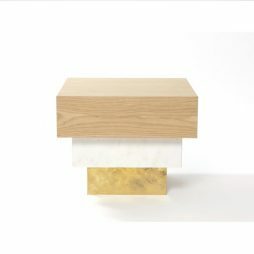 This particular side table is ideal if you need flexibility in a limited space. 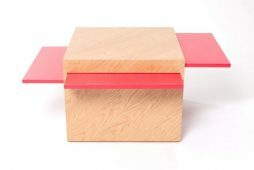 There are four sliding trays to provide additional surfaces which slides easily back in if not needed. 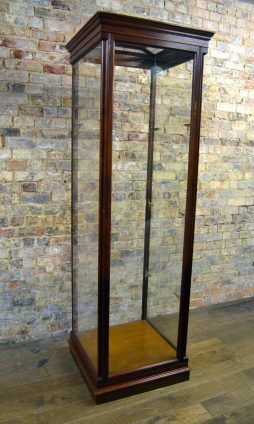 Slides can be done in various lacquer colours or in varnished brass sheets. Price: £1580 + VAT Lead time: 4 to 6 weeks. 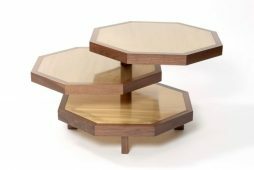 Octagonal walnut coffee table with three rotating tiers. Inlaid with brass veneers. Price: £1425 + VAT Lead time: 4 to 6 weeks. 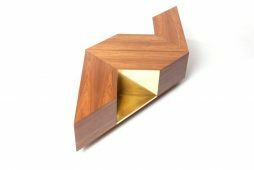 Walnut and brass coffee table consisting of two triangular halves that can be reconfigured to create numerous shapes. Longer configurations for rectangular rooms and shorter ones for square rooms. 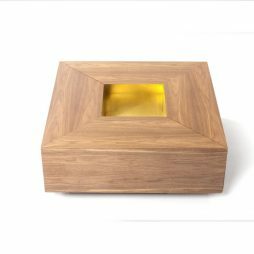 Can also be made in a lacquer colour of your choice. Price: £1725 + VAT Lead time: 4 to 6 weeks. 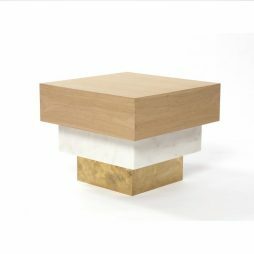 This simple geometric stacking side table is made from oak, marble and brass. 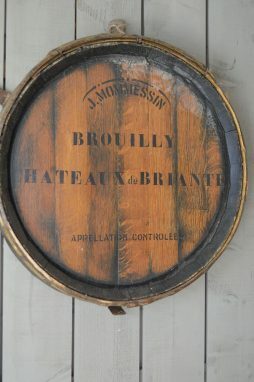 Can be ordered in any combination. The size of the table can also be increased. Price: £1100 + VAT Lead time: 4 to 6 weeks. 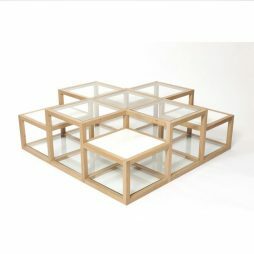 This multilevelled geometric coffee table is constructed in solid oak. 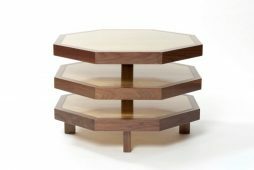 The inserts for the tops can be in glass, mirror, marble or a combination of the three materials. 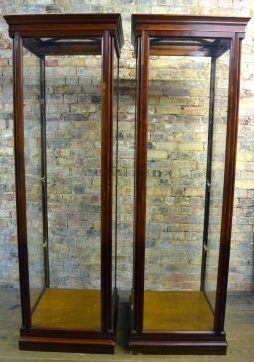 Price: £1600 + VAT Lead time: 4 to 6 weeks. 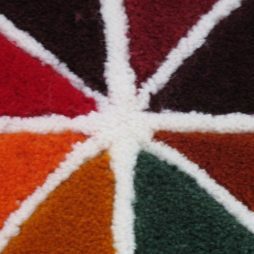 A multi coloured rug with a geometric pattern consisting of circles. Hand tufted in 100% New Zealand wool in 14 mm cut pile. Customizable in colour and dimensions. 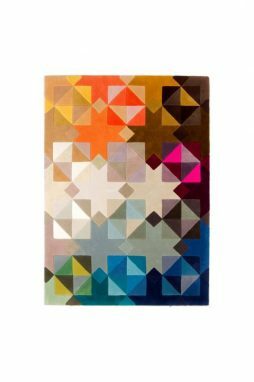 Dimension – 220 cm x 220 cm Price per Square Meter – £620 + VAT Lead time: 6 to 8 weeks. 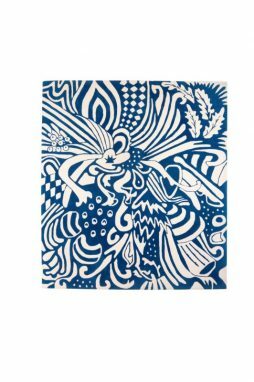 Freeform kaleidoscope design rug in blue and white. 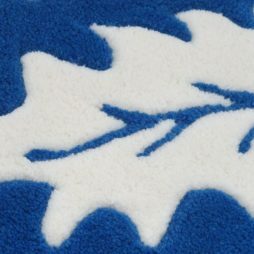 Hand tufted in 100% New Zealand wool in a 14 mm cut pile. Customizable in colour and dimensions. Dimension – 220 cm x 250 cm Price per Square Meter – £824 + VAT Lead time: 6 to 8 weeks. 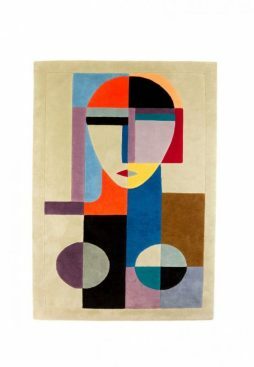 Design inspired by a Modernist female bust. Hand tufted in 100% New Zealand wool in 14 mm and 16 mm cut pile. Customisable colour and dimensions. 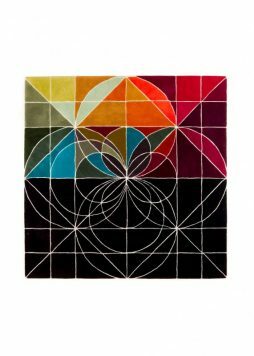 Dimension – 240 cm x 170 cm Price per Square Meter – £575 + VAT Lead time: 6 to 8 weeks. 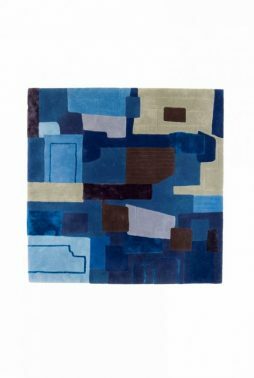 A patchwork rug inspired by an old denim patchwork quilt. 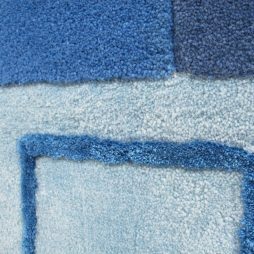 Hand tufted in 100% New Zealand wool in a 14 and 16mm various cut piles. Customizable in colour and dimensions. Dimension – 200 cm x 200 cm Price per Square Meter – £840 + VAT Lead time: 6 to 8 weeks. 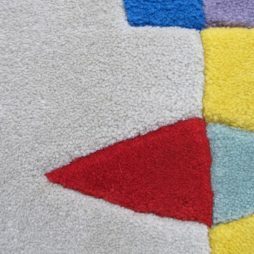 A multi coloured rug with a geometric pattern consisting of triangles. 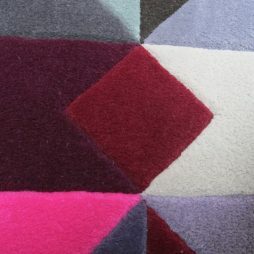 Hand tufted in 100% New Zealand wool in a 16 mm cut pile. These cabinets are top of the range. These cabinets have three adjustable shelves but more can be added if required. Standing on small plinth. 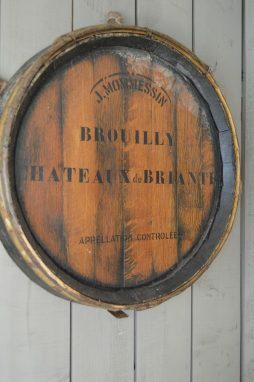 Price is for the pair, but can be sold separately.